The Angora rabbit is thought to have originated in Ankara, Turkey, although the facts remain unclear. What we know for sure is that Europe has raised angora rabbits for their fiber for centuries and the French are credited for making their wool popular around 1790 -- although North America wouldn’t see the luxury fiber until 1920. There are five Angora rabbit breeds that dominate in fiber production: English Angora, French Angora, Satin Angora, Giant Angora, and German Angora. Other breeds such as the Jersey Wooly and the American Fuzzy Lop also produce wool. Although hand-spinners are happy to spin with these fibers, these two breeds are much smaller in stature and produce substantially less wool. The wooled breeds are calm-natured and are known for their docile disposition. They make wonderful pets and are gentle with children. That said, daily care for this rabbit typically falls onto the adult as the grooming can be overwhelming. Great pets aside, Angoras are most sought-after for their plush coats as the softest fiber in the world used for garments. As an animal primarily used for wool production (or on the show table), angora rabbits are a no-kill livestock, which can be very appealing to a lot of would-be rabbit farmers. There are commercial breeders that raise Angoras for meat, fiber, and showing, tripling their investment. Angora wool producers typically promote and market their fiber to the hand-spinning and knitting cottage industries and can expect to enjoy nice prices for their product. If you're interested in learning more about angora rabbits, check out The National Angora Rabbit Breeder’s Club. Angora rabbit wool is high in demand and considered top drawer in the fiber production market. Angora fiber can be sold raw (right off the rabbit), spun, dyed or left as their natural color. It's a fiber so fine, that it's usually blended with other fibers such as sheep’s wool, mohair, silk, and cashmere. The texture of Angora wool alone is considered too fine to hold the dense stitches of knitting. Angora is said to be seven times warmer than sheep's wool and considered too warm for a garment. Blending angora fiber with others will add softness, warmth, and a ‘halo’ effect to a yarn and the resulting garment. Wool is harvested from the rabbit by either plucking or shearing. Some breeds such as the English Angora, naturally molt (sometimes referred to as "blowing their coat") three to four times a year. But natural molting not only depends on the breed but also the line within that breed. Breeders that have naturally molting rabbits can take advantage of this by steadily plucking the loosened fiber while they're in a molt. Otherwise, breeders can harvest the wool with scissors or clippers. For the record, harvesting rabbit wool should never cause the rabbit pain nor harm. PETA released a horrendous video showing a rabbit being abused as the wool was removed from its body. This is not the norm for most breeders and is unacceptable on every level. You can feel confident in purchasing Angora wool from reputable breeders. They're a no-kill livestock (as wool-producers), which is a plus to many would-be rabbit farmers. Acreage isn't necessary; perfect small livestock for urban and suburban homesteaders. Breeding is simple and reproduction is fast. Harvesting the wool is relaxing and pleasurable. 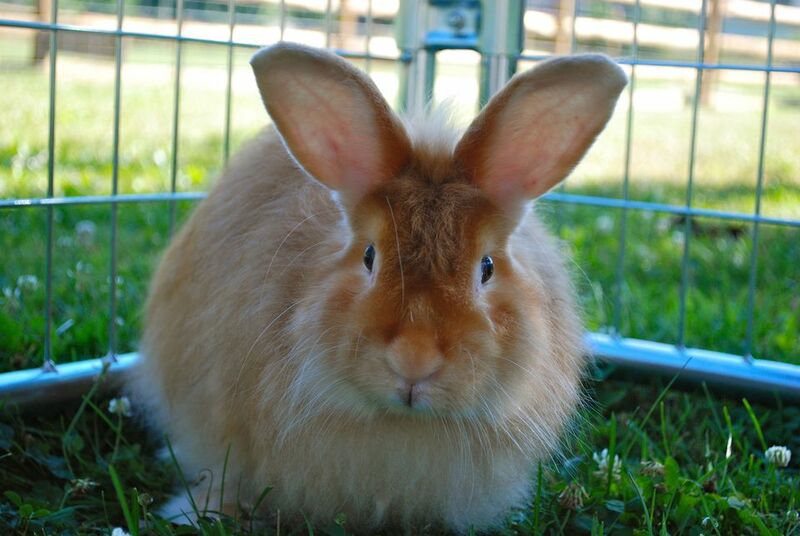 Rabbits can also be entered in shows, become 4H projects, and make great pets -- making them a family venture. Fiber can be sold for profit or kept on hand for hand-spinning for the breeder. Angora rabbits require special husbandry practices that are important to their health as well as fiber production. Animal allergies in the family. Coat maintenance; depending on the breed can be extensive or minimal. Like any other animal, they require general daily care. What Is a Cover Crop and How Is It Used on a Small Farm?